And Cost A Fraction Of Streaming Video! The San Diego/Tijuana border crossing is the busiest border crossing in the world. QVision has it covered. Would you like to see a demonstration of QVision capabilities at your location? 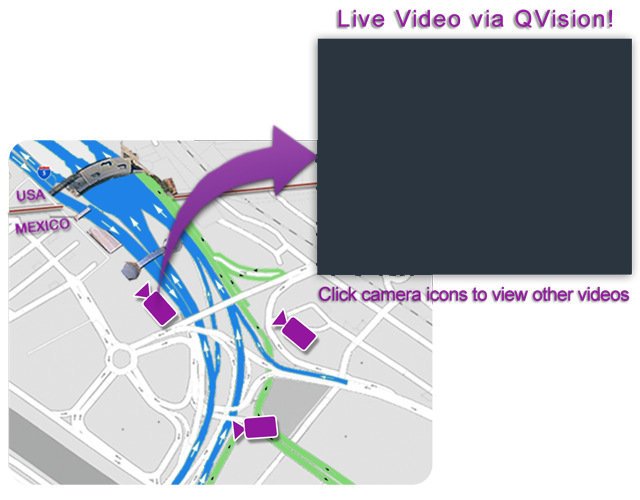 QVision is a great solution for any entity that wants to show live traffic or video of any changing conditions. What could you do with this powerful and cost-effective technology? Using Qvision technology, www.BorderTraffic.com became the first and only website to provide 100% video coverage of the busiest border crossing in the world. Qvision provided an extremely cost-effective solution to a video surveillance problem that no government or private agency had been able to solve in over 20 years. 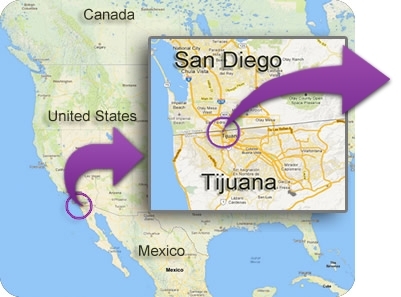 The international border crossing between San Diego and Tijuana is the busiest in the world. It averages 5 million entries per month, i.e., over 150,000 per day. Extremely unpredictable wait times of up to 3 hours cause annual economic losses estimated in the billions of dollars. Before the invention of Qvision, very little video information was available to assist crossers and government officials in tracking and planning crossings. Travelers had no reliable way to check current conditions so they could make decisions about when to cross and which of the multiple approaches to use. 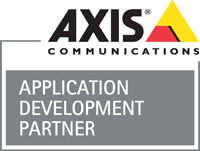 One approach might have a significantly shorter wait but there is no way to know ahead of time because access points are geographically far apart; when the crosser has chosen a route, it is literally impossible to change to a faster moving one. The problem was further exacerbated because the border patrol had no way to see the ends of the lines in Mexico. This forced them to use very unreliable methods to both assign personnel and provide wait-time estimates to the public. The media would then broadcast those questionable estimates. This information was consistently wrong and of little use to travelers because it was typically incorrect to begin with and only updated once per hour at the most. These wait times are a huge burden for people who work and/or live on both sides of the border. Literally, millions of hours of otherwise productive time are wasted – simply because people have no reliable way of knowing conditions before they head to the border. Travelers, businesses, and government agencies had all wanted live video of the crossing for years but could not implement it for a variety of reasons. The primary hurdle was the exorbitant cost of streaming so many cameras. Live video streaming requires dedicated Internet connections to each camera which connect to either a very expensive streaming server or streaming video service. Sending those streams 24/7 to the server and then on to thousands of users would cost $700 to $900 per month for each camera. That equals $12,000 or more per month just for streaming costs, not including other expenses. It simply was not feasible and no one wanted to subsidize the ongoing expense. In 2009, the founder of Qvision, a local engineer / businessman, determined to solve the problem. He assembled a top-notch team of programmers and video camera specialists who spent a year and a fair amount of funds creating Qvision technology. Now travelers can visit BorderTraffic.com and choose from 16 different views that cover all crossing access points, each with a live loop video clip that clearly shows the length and speed of that particular line. Showing movement is vital because a long line is not necessarily a slow line. Users can get this information on a computer before leaving for the border or on a mobile device after they are already on the road. It shows those who must cross immediately the most efficient way to do so. Those who are not on a strict schedule can wait until lines are shorter. Government agencies state that this information allows them to better manage personnel, do active lane management, and estimate and report wait times. The use of these images makes a measurable difference in wait times as travelers automatically do “load leveling” and the border patrol adjusts personnel and lane openings based on their ability to see the ends of each approach. With Qvision, this seemingly unreachable goal was accomplished. This huge success led our team to decide to bring Qvision to market. We have further refined the technology and it is now available to the countless agencies and entities that need video updates but don’t need live video streaming nor its high cost and multiple technical headaches.